I picked up the AFV Club Nashorn last Saturday at LHS. Here is the box art. The kit contains of approximately 550 plastic molded parts for the tank, a set of vinyl track, 20 extra individual track links in hard plastic for spare track link, 12 clear molded parts, a metal barrel, 2 metal springs, a small photo-etched fret with a extra sprue of ammo shells and cases. 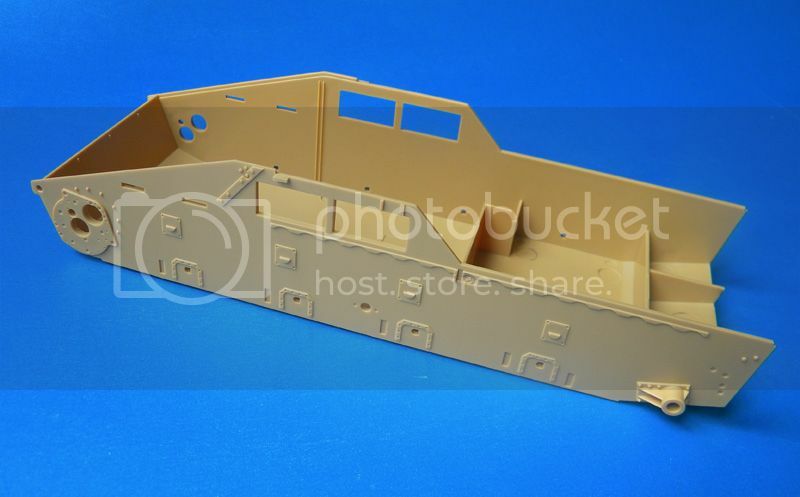 Plus approximately 70 plastic molded parts for the 88mm Pak43 Gun. Of course a small decal sheet is included. The lower hull is molded in one piece with slide mold technique. The details look really good. Installed the final drive housing and the suspension bumpers onto the lower hull. The suspension bogie is workable. The assembly of them is quite easy. Firstly, clean the part lines of the molding parts. 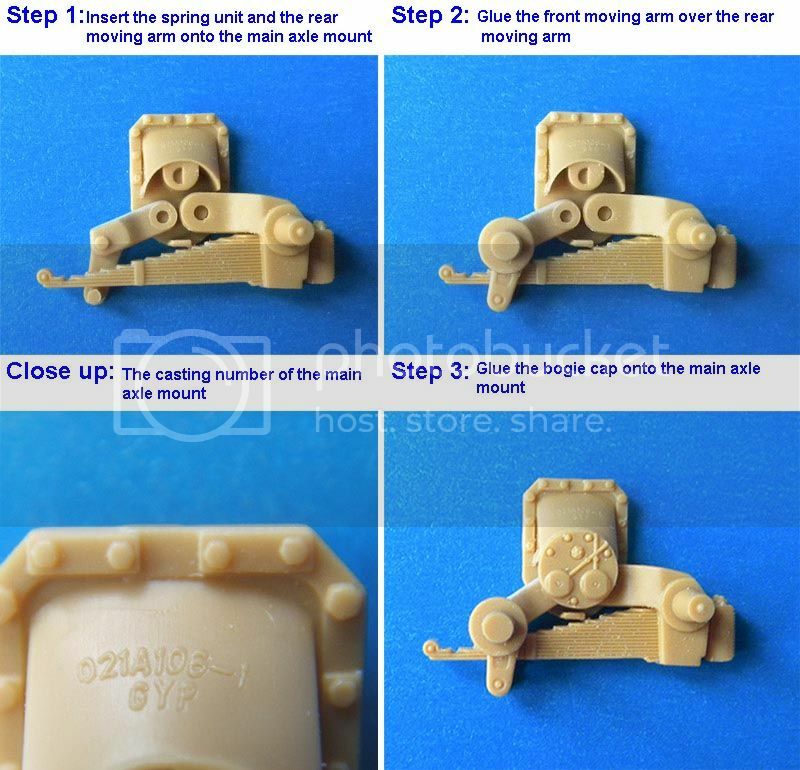 Step 1 – Glue the spring unit cover onto the spring unit, then insert the spring unit and the rear moving arm onto the main axle mount without glue. The spring unit is going to the larger location pin and the rear moving arm is going to the smaller location pin. Step 2 – Glue the front moving arm over the rear moving arm. Step 3 – Glue the bogie cap onto the main axle mount. AFV Club has provided 2 styles of bogie cap. Important is to drop the glue onto the “D” location pin only. I used 2 hours to complete the assembly on those 8 suspension bogies. The result of the them is really nice. so far it looks great. this is the first one of these i think i've seen built so i'll be interested to see if the rest of it is as nice as the suspension bits. How good and accurate is this kit ? I don't recall reading reviews ... the suspension looks great ! ...great start Marco...it's very cool to see these new arrivals being modelled by yours...please don't stop the Diana...following the both with a big interest! Looking forward to this build, I had a look at this kit last week at my modelling club meet but was offered the Dragon Premium kit for $20 so I took the cheaper option (The AFV kit sells for $55 here). Still this will give me some good tips and motivation! 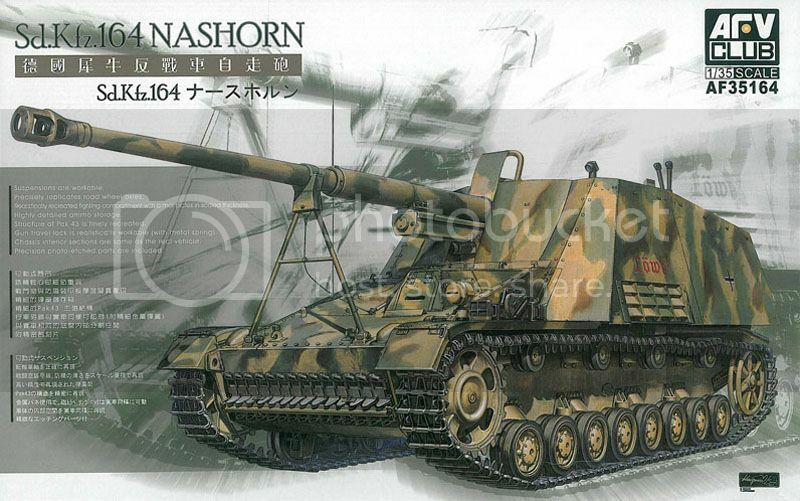 I´m building the new DML Nashorn,it´s nice to compare.